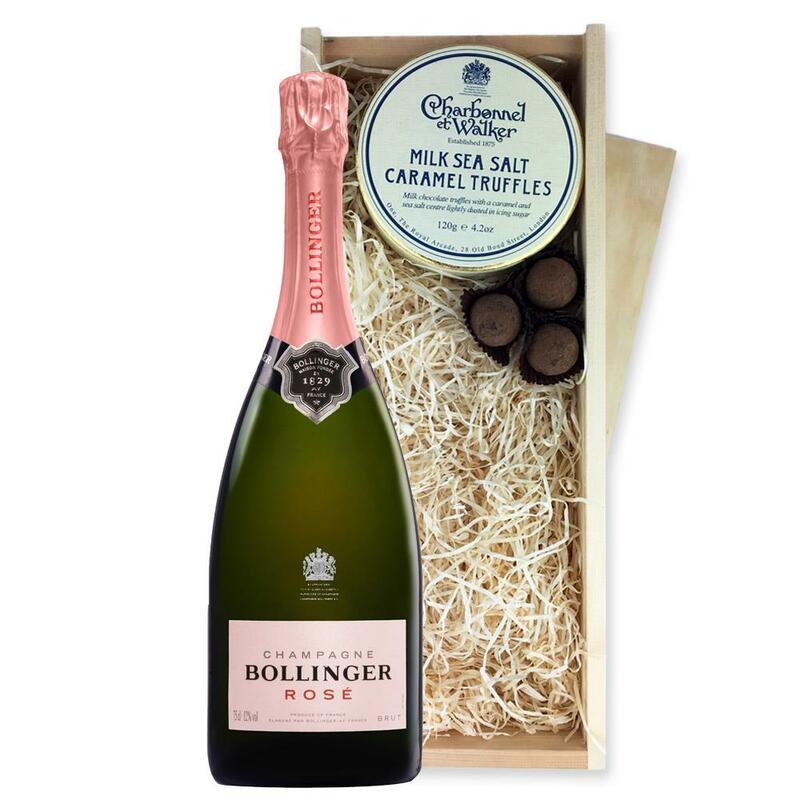 A single bottle of Bollinger Rose 75cl, Champagne & Charbonnel - Milk Sea Salt Chocolate Truffles (110g), Presented in a wooden gift box with sliding lid and lined with wood wool with a Gift Card for your personal message. 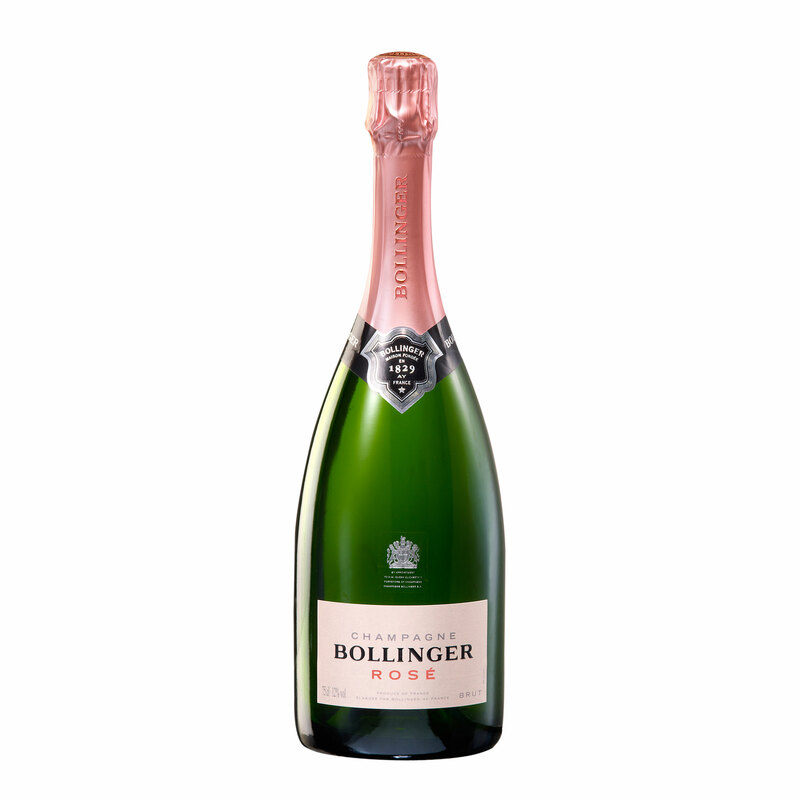 The Bollinger Rose is the newest addition to the Bollinger family for more than 30 years. Red grapes from the Grand Cru vineyards are added to the blend, giving the Bollinger Rose Champagne deliciously different layers and a great complexity of flavours. On the nose aromas of recurrent, cherries and wild strawberries triumph through, whilst on the palate this champagne has a satisfying structure and depth. A velvety mousse with lingering flavours of wild berries.